Advances in consistency checking in model-based software development made it possible to detect errors in real-time. However, existing approaches assume that changes come in small quantities and design rules are generally small in scope. Yet activities such as model transformation, re-factoring, model merging, or repairs may cause larger model changes and hence cause performance problems during consistency checking. The goal of this work is to increase the performance of re-validating design rules. This work proposes an automated and tool supported approach that re-validates the affected parts of a design rule only. 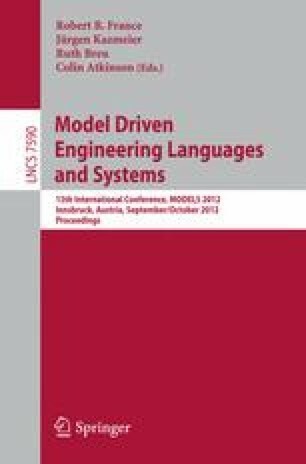 It was empirical evaluated on 19 design rules and 30 small to large design models and the evaluation shows that the approach improves the computational cost of consistency checking with the gains increasing with the size and complexity of design rules.